My Favorite 2015 Day of the Dead Story! 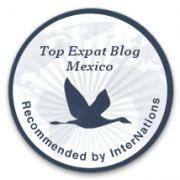 This year’s official theme for Day of the Dead cultural activities in Mazatlán was Mictlán—the world of death in Aztec mythology. Navigating the nine levels of Mictlán towards the evening star in the heavens was said to take nearly four years and was full of challenges. 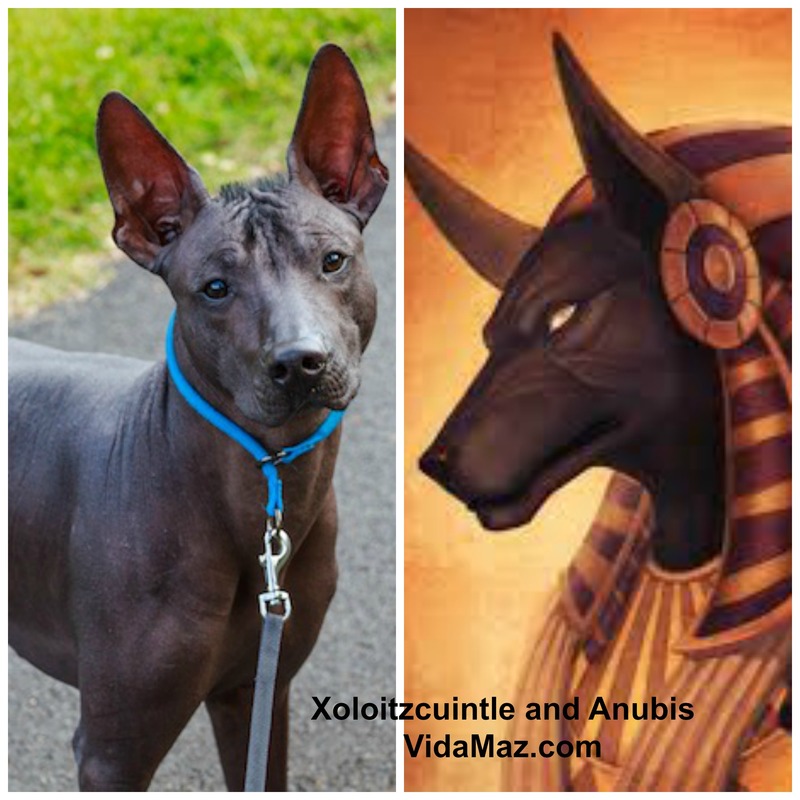 The dead needed help, a guide, and they found it in a dog—Xoloitzcuintle—a carnation of Xolotl, the god of fire, lightning, sickness and deformities, twin brother of Quetzalcoatl. 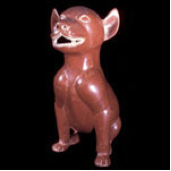 Clay dog statues have been found ritualistically placed in the tombs of Aztecs, Mayans and Colima Indians, as have the skeletons of actual dogs. Sort of reminds you of Anubis, the Egyptian dog-god, lord of the underworld, doesn’t it? They are both black, guide the dead, and have pointy, stand-up ears! 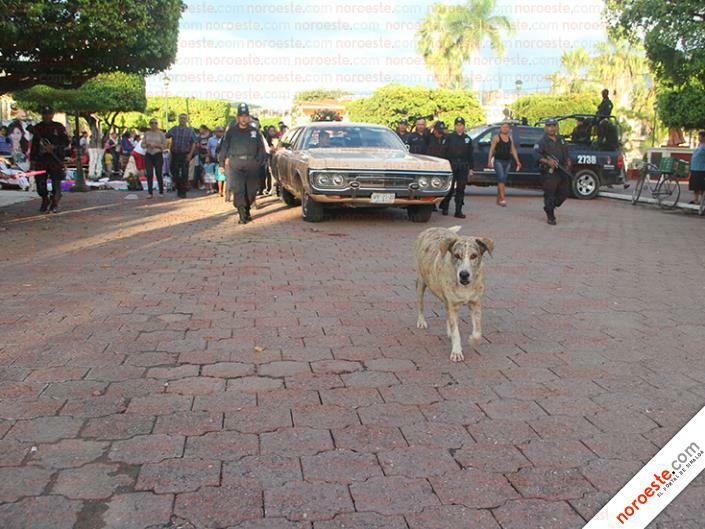 Well, a modern-day incarnation of Xoloitzcuintle apparently lives in El Rosario, and her name is La Tigresa! For the past year, every time Tigresa hears the funeral bells of Our Lady of Rosario ring, she walks into church and politely sits down to attend the funeral mass. When the mass is finished, she walks in the funerary procession, in front of the casket, all the way to the cemetery. There she stays with the body until the last person has gone home. La Tigresa distinguishes between the bells of a funeral mass and those of ordinary mass, which she never attends. If there are two simultaneous funerals, Tigresa walks in between the two coffins, treating both equitably. If there’s a funeral in the morning and another in the afternoon, she attends both. If the body is taken back home after mass, that’s where she heads, too. I want to thank my good friend Lupita, who shared this story with me from Sunday’s Noroeste. I just love it, and hope you will, too! We’ve got to meet La Tigresa! Xoloitcuintle is, of course, a breed of dog here in Mexico, often shortened to “Xolo.” These beautiful, often black, hairless (and therefore flea-less) dogs were almost extinct, but concerted efforts to rescue it have been successful. It is believed to be one of the world’s oldest and rarest breeds, dating 3000 to 7000 years. In pre-hispanic times they were considered sacred, with healing properties both for the body and the soul. The absence of teeth between the molars and the incisors. A body temperature a few degrees higher than is normal for a dog. The dog sweats through its skin rather than by panting its tongue. La Tigresa is obviously not a Xoloitcuintle breed, but would, indeed, appear to be an embodiment of this guardian of the underworld!